With beautiful scenery, coupled with history and culture, a holiday to Italy is popular with families and couples. 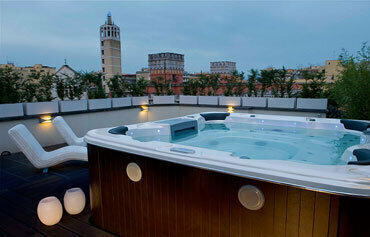 If your budget does not stretch to an expensive hotel at the heart of Venice, why not take a look at the 4star Smart Holiday Hotel in Mestre. Situated on the main artery road into the city, this recently renovated hotel offers all the facilities of a city centre hotel at a purse friendly price. 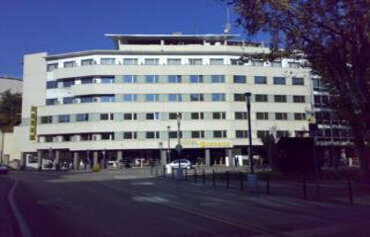 Tucked away in a quiet spot in the historic San Giovanni area of Rome, you will discover the CineMusic Hotel. 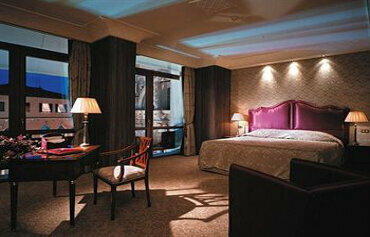 This 4 star boutique hotel may be small but it is beautifully formed. The contemporary and modern public areas create a relaxing ambience. If you are looking for a hotel close to the magical city of Venice, why not take a look at the newly opened Hotel Delfino in Mestre. 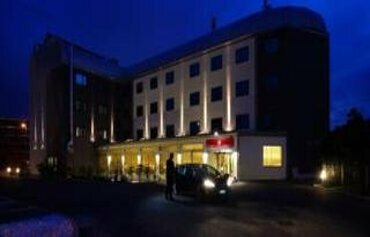 This 4star hotel is an oasis of calm away from the hustle and bustle of the city centre. 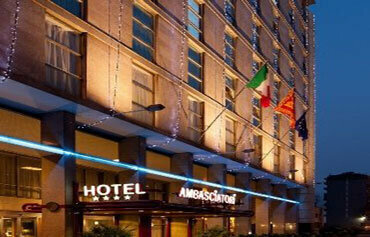 The town of Mestre, on the outskirts of Venice, is home to the 4 star Ambasciatori Hotel. This purse friendly hotel is the perfect base from which to explore the sights and sounds of the famous floating city of Venice. 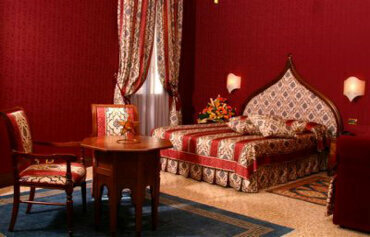 The guest rooms are simply furnished with air conditioning and satellite TV. When it comes to location in Venice, the Hotel Ai Mori d'Oriente takes some beating. Located in the picturesque Cannaregio quarter, the canal side setting of this Byzantinestyle hotel lets you experience the real Venice. 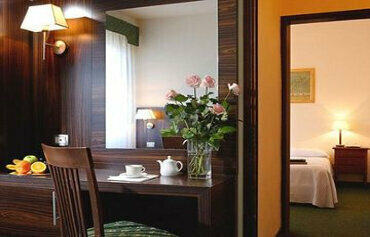 True to its name, the Hotel Centrale is located in the centre of the historic Italian town of Mestre. 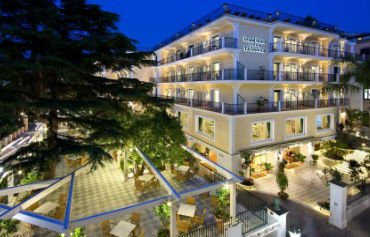 This small and friendly 3 star hotel is a great value place to stay, away from the hustle and bustle of nearby Venice. 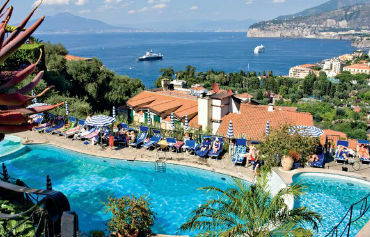 Grand Hotel Capodimonte offers a luxurious base to experience the stunning sights, smells and tastes of sunny Sorrento. This beautiful hotel is found on the edge of shimmering Lake Garda between Milan and Verona. Stunning scenery, warm evenings, and fine dining are just three highlights of this perfectly-located hotel. 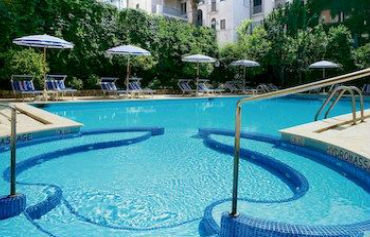 Grand Hotel La Favorita is a real gem in Sorrento's crown. This boutique-style hotel boasts a cliff-top setting overlooking the Bay of Naples, and is home to stunning gardens and impressive on-site facilities. Just a short walk from the main Piazza Tasso, this Amalfi Coast hotel boasts a plethora of on-site facilities, chic guest accommodation, and flavoursome cuisines. The weather in Italy varies depending on where you stay and the time of year. From the summer coastal resorts to snow-capped mountains, it’s a real mixed bag. It’s best to take a closer look at the area you’re thinking of staying in to find out more about the local weather. Generally, holidays to Italy’s coastal resorts and islands take place in the summer, when the typical Mediterranean weather is hot and dry, with long, sunny days.